Connect your Max patches to the wide universe of MIDI and other external controllers. 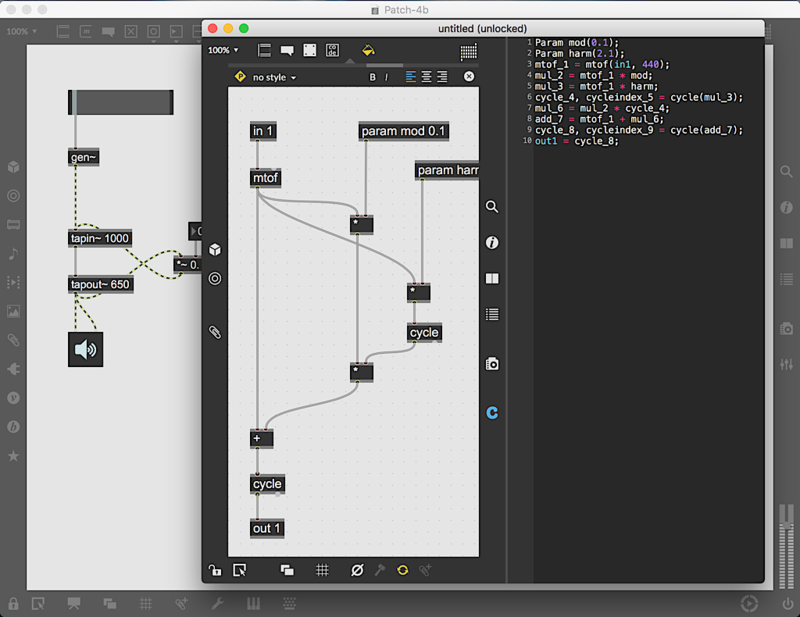 Use Max's user interface objects to make your own control interfaces with full support for MIDI/MPE, and OSC protocols. 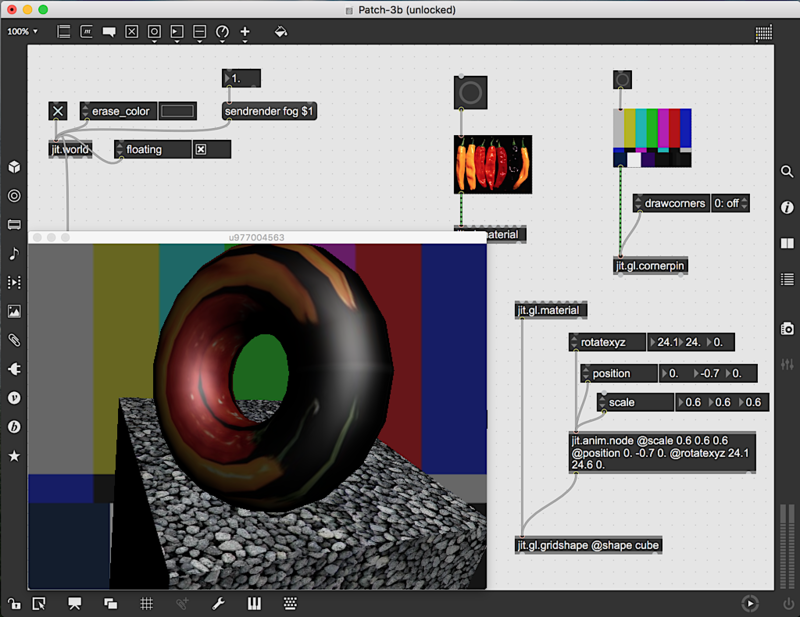 Gen integrates Max's familiar visual patching environment with the power of real-time code generation and compilation. Use Max's serial communications to interface with electronic sensors, motors, and other components using your Arduino board. 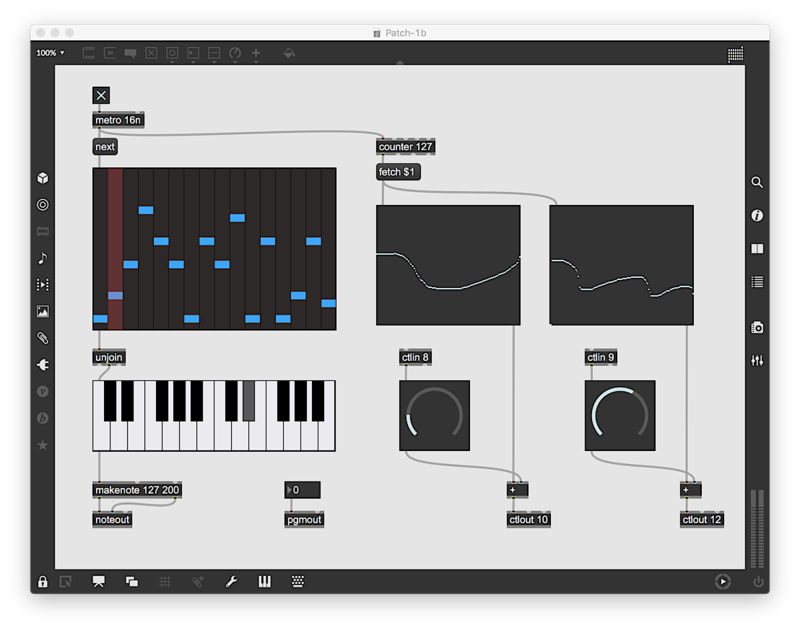 Max's built-in MIDI handling tools connect to any MIDI controller with knobs, sliders, buttons, or keyboards. 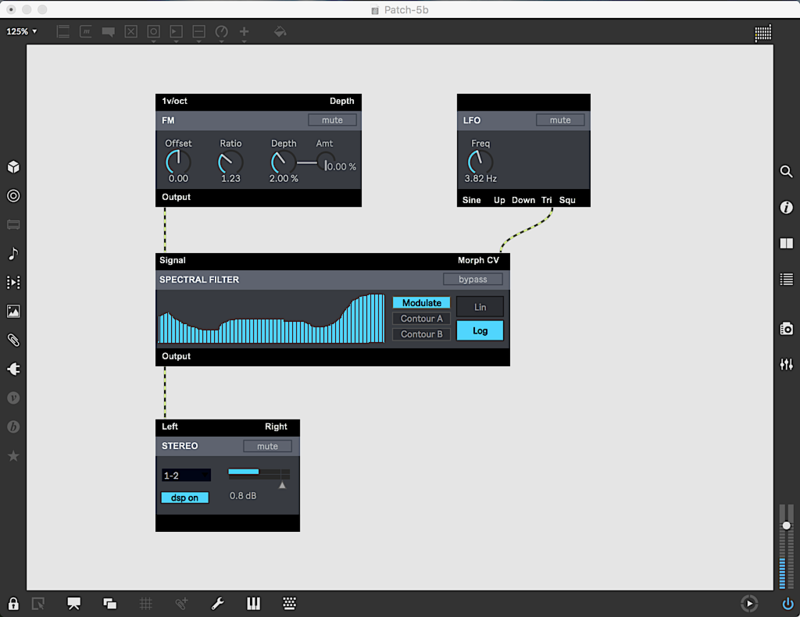 Combine hardware synths with Max to create custom editors. Max supports the full MIDI/MPE spec, so you can talk to any MIDI device. 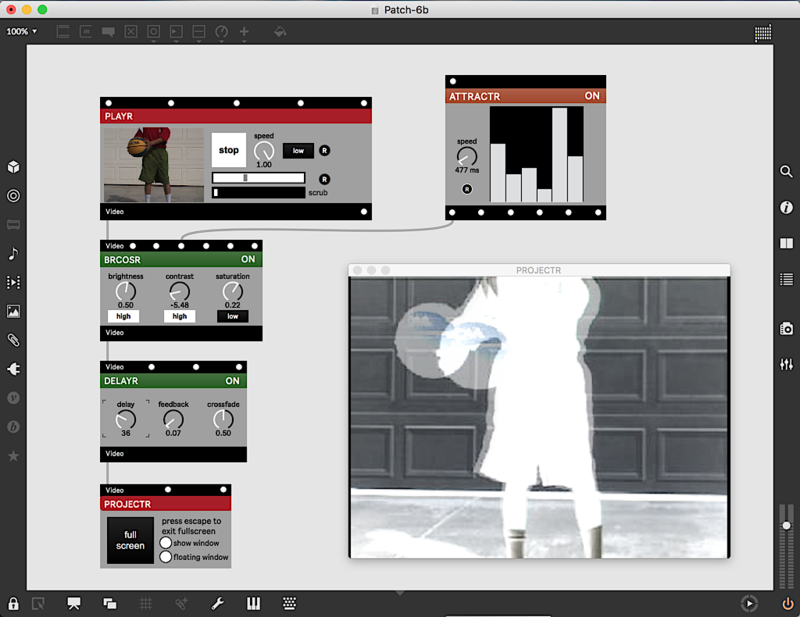 Add audio-responsive and interactive elements to your show system lighting with Max. Take control of your visuals with interactive support for multiple screens, OpenGL hardware graphics, and video playback. 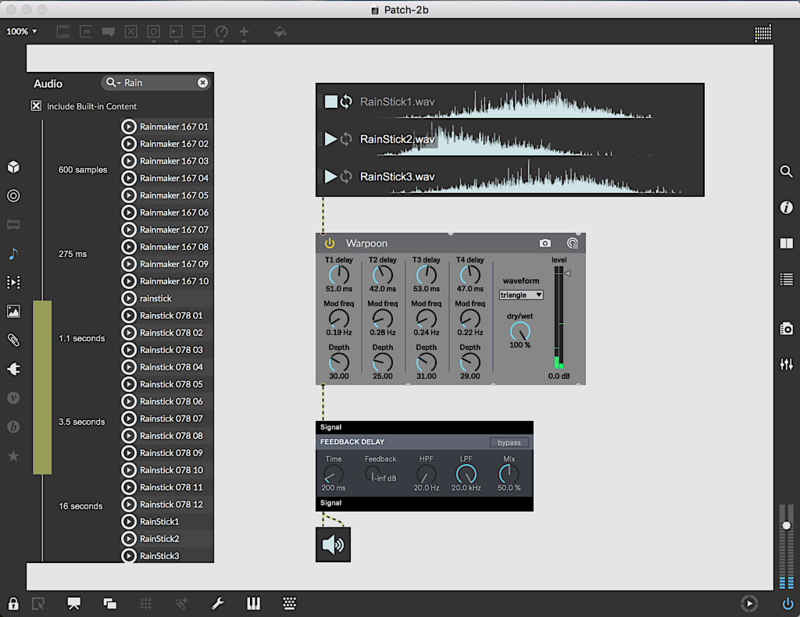 Connect live instruments and sound sources to Max and experiment. Audio interfaces, USB Microphones, and built-in hardware all work seamlessly. Want a more in-depth look at Max features?